UK-based developers Climax are kind of on fire right now. They've just released Silent Hill: Shattered Memories in partnership with Konami, and they're already working on two more projects for the gaming supergiant. Shattered Memories has already been released in America to critical acclaim. Nintendo Life met up with Lead Designer Sam Barlow and Game Director Mark Simmons for a brief chat about developing for the Wii, how psychological gaming is the future and the importance of believing in the story you're telling. Sat round an impressive conference table in Konami HQ, they're visibly excited to discuss the game that wowed fans and critics. NL: First of all - how would you guys sum up Shattered Memories? Sam Barlow: It's a psychological horror game, part mystery part thriller. It's very much story-led, but that doesn't mean it's just a bunch of cutscenes – rather it's about exploring and uncovering that story. It's character driven, highly atmospheric and has very different gameplay to most horror titles. 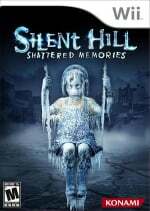 NL: Why did you choose to make Silent Hill: Shattered Memories on the Wii? SB: We'd been looking at ways to bring the horror genre to a wider audience, and to people who perhaps had become bored with survival-horror, or hadn't played a horror game before. On the Wii we have the license to try new things, and we have access to a huge audience who have no expectations of what a horror game should be. It means we can approach the game like a clean sheet of paper and decide what we think a story-driven psychological horror game should be. Mark Simmons: The psychological element of the game is really important. As you play, the game analyses your personality, through therapy sessions and micro-decisions you make whilst playing. The information the game collects about you is used later to alter the game in tiny ways, so you get an experience that's totally customised to suit your personality. 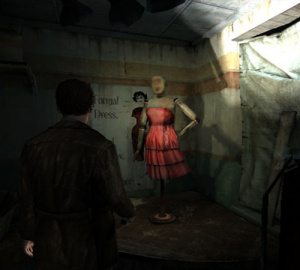 NL: Early on in the game the player has the option of proceeding through either a video store or a dress shop – is this typical of the kinds of decisions the game monitors? MS: That's actually one of the more obvious decisions. We wanted players to understand right off the bat that they were being analysed, and that the game is watching you the whole time. There are a range of tiny things across the game that will impact the player-experience later on. 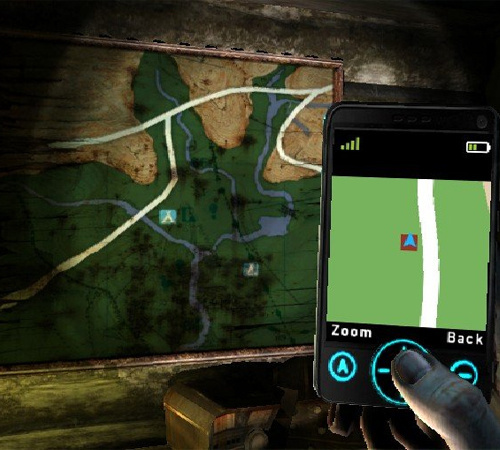 SB: For example, the game knows which parts of the environment you spend time looking at. It knows how long it takes you to solve certain types of puzzles, and how you approach problems; whether you use trial-and-error or whether you take your time thinking about a puzzle before interacting with it. From this the game gets an understanding of how analytical you are, how well you cope with abstract puzzles and so on. If a player gets stuck does he try and solve the problem with brute force or does he leave the room and look for clues? The player is equipped with a mobile phone – the game remembers who you're calling, how long you spend talking to them and whether you're hanging up on people. All these little things feed into your personality profile. NL: So the game builds up a detailed psychological profile on the player. What does it do with this information? SB: Once the game has this profile it will know all about you, whether you're an introvert or an extrovert, or how you view authority figures. It could choose the perfect partner for you, or your nightmare boss, for example. The key thing is that it knows what kind of scenarios will stress you out. Based on this the game will change cutscenes, change the look and behaviour of characters, change puzzles and even change things like audio-cues and lighting. NL: How did building a mechanic like psychological profiling into the game affect development? MS: This feature has definitely caused a few complications in development. To make sure the psychology system was balanced we had to conduct extensive testing, making sure that the player-profiles the game was building up matched actual psychological tests. It also means that we're putting a lot of content into the game that players may never see. Many game producers are averse to doing this because if a publisher is putting a lot of money into a game they want every player to see all of the content. But on the other hand it gives the game real replayability. NL: So are you hoping that the success of Shattered Memories is proof of concept that this mechanic works? Would you like to make another game with this feature? MS: We'd love to do it again. As for proof of concept, it's an appealing mechanic for any story-driven game. 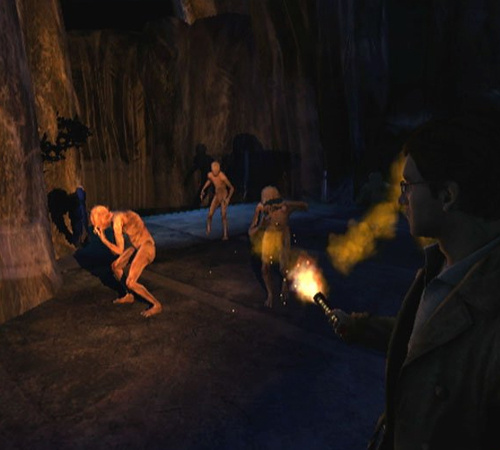 It's not something that's specific to Silent Hill, the horror genre or the platform. It could be applied in so many places. SB: It's a bold method of storytelling - telling that story and tweaking it depending on how people are responding. It's very much the way stories used to be told: sat around a campfire, adjusting the story based on how the audience reacts. NL: Are you pleased with the critical reception Shattered Memories has received? MS: Very pleased, and the reaction from fans of the series has been brilliant. We know initially everyone was quite skeptical – partly because it was on the Wii, there were concerns that the controls would be a bit novelty for a series that's traditionally quite deep. Also because we're revisiting the original story, which is thought of as one of the best in the series. There was a lot of scared anticipation from the fans. But the reception since the game's release has been great, and the fans seem to have been won over. SB: It's also been great to see people reacting to the game. We've seen YouTube videos of groups of people playing the game together, screaming during the nightmare sequences, and discussions on forums where people are admitting they cried at the ending. That was particularly rewarding for us, having focused so heavily on the story. It's an acknowledged fact in game development that most gamers don't finish games, so many developers don't worry too much about how well a game ends. We said from the start that we wanted to structure the game well, and have the story play out properly. We wanted everyone who sat down to play the game right through to the end. It's been a bit trial-and-error for Konami, trying to figure out the future of the Silent Hill franchise, and trying to figure out how to make a Silent hill game as a Western developer. With titles like Origins and Homecoming we pretty much stuck to the template, and delivered solid games that paid homage to the Japanese developers. 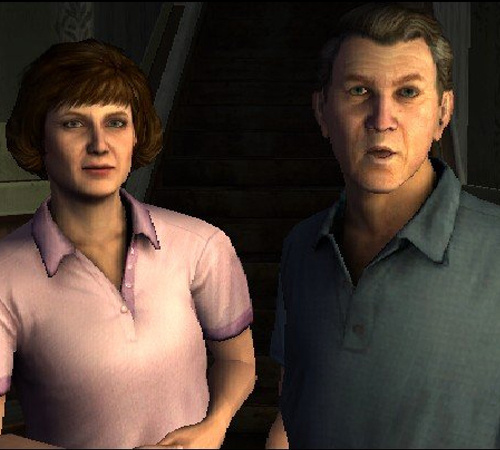 But what made the early Silent hill games great is that they were labours of love. Love for the story, specifically. And with this game we really decided not to just copy the Japanese developers; it would be dishonest to just make another game to their template. We decided to make our own game, and one we passionately believe in. Silent Hill: Shattered Memories was released in December in North America and will be hitting the UK on March 4. Climax have two more games with Konami en route - they're currently developing a Gormiti trading-card franchise adaptation for Wii and DS as well as a revival of the 1993 Mega Drive hit Rocket Knight for Xbox Live Arcade, Playstation Network and Steam. Why is it delayed so long in europe and out in america already. Theres nothing on the WII shelves at the moment worth getting at all. This game is looking to be one of the best wii games at the moment. Nice interview. Good to hear they are working on a few more games for Konami. I played and completed this game on my Bros Wii and can say without hesitation that it's one of the very best games I have played on Wii. It's got some flaws and stuff for sure but where it matters it generally gets it right and I recommend it to anyone out there who owns a Wii to at least give it a try. Please make a sequel and please fix the few issues that people have with the current game (pauses when running through doors, pretty useless map, no danger of being attacked or injured during the normal sections of the game, the slightly forced waggle control during the monster sections, that lack of variety in the monster designs, that kind of thing). There is a lot to love about the game also though such as the brilliant implementation of the pointer for the torch AND how well it still works for the looking/turning too which is pretty impressive considering it's the default setting (well done for nailing that when so many other developers failed miserably), the excellent use of the Wiimote speaker, the nice Wiimote based puzzles (although a couple of them were a bit too obvious or easy, but that doesn't mean you need to make them obscure and make no sense like in previous games, just a little bit harder as the game progresses would be nice), the lovely graphics and particularly the lighting and shadows, the fact you can read everything clearly, the great use of sound throughout, the fact it's a proper mature game with a serious plot, the quality of the presentation overall, the psych profile system, the phone in general, and all the other nice little touches. Edit: By the way that pen nib could have been a little more fine! It made it really hard to color inside the lines even when slightly zoomed in and I am a perfectionist you know! This game was amazing. I still intend to go back for at least one or two more playthroughs. This game nailed the psychological horror feel and that "I must be in a David Lynch movie", which sadly the genre has been moving away from as of late. I'd reccomend this game to pretty much anyone who's into horror/thriller games. However, if you're one of those players who can't get over the concept of "no combat", then it's probably not for you. If it had just a bit more substance it would be pure GOTY material. Even as is it's still a must buy. I'm on my third playthrough now. The first ending I received was kinda bittersweet and actually almost left me in tears. that single video made me want to play it! the way the game took the colors from the drawing was very interesting! I watched a cousin play the original game a long time ago, how different is this one? Definitely getting this. The phsycology is actually pretty intimidating. The atmosphere is gloomy, it's just so...strong, you know? It's almost like a movie. @abgar the game is very different - it takes the bare bones from the original story but that's about it. More of a 're-imagining' than a remake. And of course the gameplay is totally different. A reallly perfect game. You can't stop playing. It is just like living in a psychological horror movie.